Compliance officers may feel a bit dizzy today—we’ve had a whirlwind of news related to the Foreign Corrupt Practices Act this week, particularly in the last 24 hours. From the Pilot Program, to voices of support within the Trump Administration, to fresh FCPA arguments in court, and that bizarro news about the U.S. attorneys, we have a lot to cover. Here’s the rundown. First, the Justice Department has decided it will extend the FCPA Pilot Program until further notice. Kevin Blanco, acting assistant attorney general for the Criminal Division, broke that news in Miami, speaking at the American Bar Association’s annual white collar crime conference. Probably those words are just a stall for time, since leadership at the Justice Department is still largely in limbo. 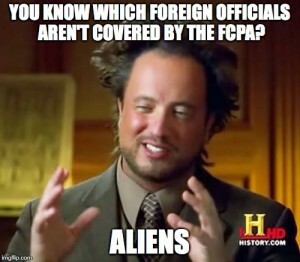 Let’s remember what the FCPA Pilot Program stipulates. If a company discloses an FCPA violation voluntarily, cooperates with prosecutors to find individual wrongdoers, and remediates the underlying problems; then the company will be eligible for steep discounts on monetary penalties, including the potential for no penalties at all and a decision not to prosecute. Those principles are intellectually in step with Attorney General Jeff Sessions’ belief that people commit crimes rather than companies, and that the goal should be to punish individuals rather than companies. So after all the department reviews of the Pilot Program happen—again, I’ll die of surprise if this program is not permanently enshrined as Justice Department policy somehow. Maybe we’ll call it something different, but it shall prevail. Bottom line for compliance officers: The Pilot Program has been a good reason for companies to have an effective compliance program, and at least for now, it’s sticking around. We also have soothing words about the Foreign Corrupt Practices Act from none other than Secretary of State Rex Tillerson. On Friday the Washington Post published a profile of Tillerson’s first few weeks on the job. During a White House meeting, Trump complained that the [Foreign Corrupt Practices Act] cost the United States billions of dollars in lost sales overseas and millions of jobs. According to one insider, Tillerson dissented and described how he had walked away from an oil deal in the Middle East after a leader there demanded a payoff—but later was invited back. That story is outstanding for what it is. Then again, the next part of the article discusses how Trump promised to name Tillerson’s preferred candidate for deputy secretary of state—and sand-bagged Tillerson on that promise just a few hours later. Plus, if Trump believes that the FCPA costs U.S. businesses billions of dollars and millions of jobs, that’s more proof that this president can’t distinguish fantasy and reality. Or maybe Trump was just cranky, as he always seems to be. Regardless, let’s take the victory we have in hand: Rex Tillerson, chief executive of the country’s largest oil company and now secretary of state, defending the FCPA. It’s nice to see. We also have a federal appeals court case unfolding in New York that is exploring just how far the long arm of the FCPA can reach. And according to a post on the Global Anti-Corruption Blog, the Trump Administration agrees with its Obama Administration predecessors that the reach should be pretty long. The case involves a British national, Lawrence Hoskins, working in Paris for the French construction giant Alstom. The allegations are that Hoskins might have helped Alstom’s American subsidiary to bribe government officials in Indonesia. But Hoskins himself is not a U.S. citizen and never worked for the U.S. subsidiary. At best, then, Hoskins is only an accomplice to the bribery scheme—so should he really be subject to the FCPA at all? Obama Administration lawyers said yes, and a federal district court ruled against them. The Justice Department then appealed, and that appellate hearing began on March 2—that is, after the Trump Administration took over the Justice Department. The new department leadership under Sessions had ample chance to drop the Obama Administration’s expansive views of FCPA jurisdiction, and it hasn’t done so. So maybe Sessions & Co. like the expansive version of FCPA jurisdiction, too. Yes, possibly they simply haven’t yet had time to change their tune on this case—but Sessions has already had the Justice Department reverse its stance on other notable cases, such as voting rights in Texas or bathroom rights for transgender students. If back-pedaling on the FCPA were high on his priority list, Sessions could have made that happen by now. He hasn’t. It wouldn’t be the weekend without another story of ham-handed political moves from Donald Trump. He delivered again on Friday, firing the remaining 46 U.S. attorneys from the Obama Administration in one swoop—including Preet Bharara, U.S. attorney for Manhattan and the most important U.S. attorney for prosecuting corporate crime. Trump has the right to appoint his own U.S. attorneys, and he would not be the first president to fire a large number of them at once; Bill Clinton fired all 93 in one day in 1993. But Trump is the first president to fire so many prosecutors while so many allegations about misconduct in his own administration swirl around him. So this move, even if done as innocent house-cleaning (quit snickering), will only fuel the rumors of political vengeance, rushes to judgment, and ineptitude that have marred President Fredo Corleone since his inauguration. And a smart political team would have known that. Consider Bharara’s predicament. Back in November, Trump asked Bharara to remain in office. Then comes news this week that Michael Flynn, Trump’s former go-to guy on national security, was a foreign agent for the government of Turkey during the campaign. Allegedly, Trump did not know this fact until quite recently. Let’s remember that if the Trump campaign were corrupt, or the Trump Organization did engage with foreign governments in violation of the FCPA (we haven’t even mentioned that New Yorker article this week alleging as much)—Bharara would have been the prosecutor investigating those claims. Suddenly this week those claims seemed a lot more plausible. And suddenly Bharara went out with the bathwater. Preposterous? Well, ask yourself: could Fredo Corleone get into a jam like that?